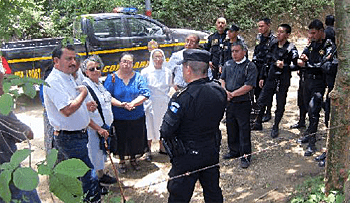 The year 2014 proved to be one of the most violent in Guatemala. The wave of violence lived out in 2014 started in 2013, when opposition to the guilty verdict given to former Guatemala dictator Efran Rios Montt brought together sectors of the government, business (especially related to agriculture and extractive industries), groups of former soldiers that had committed serious violations of human rights and extreme right-wing groups. This alliance has encouraged various situations of impunity and a growing criminalization and limitations of freedom of expression. This has increased the situation of risk for various groups and people who defend human rights to become the objects of spurious charges. Such criminalization is a mechanism that both decreases possibilities for the defense of human rights in general, and also deprives individuals of liberty for crimes they never committed. 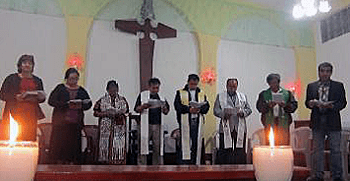 In 2014 the Ecumenical Christian Council of Guatemala facilitated pastoral visits and ecumenical prayers to the communities of San Juan Sacatepquez, La Puya and Chuarrancho. Participated in the U.N. evaluations of the Millennium Development Goals to created processes against violence, especially against women. Led two delegations of the Christian Church (Disciples of Christ) to several communities throughout the country. The National Youth Meeting “Indispensable Aspects of Tax Policy for Youth Citizen Participation” was held with a participation of 45 young people from many states and churches. The Ecumenical Council organized a Day of Prayer and Action for Children, held workshops on ethics in education that was aimed at educators of different faiths in order to and use the manual “Learning to Live Together”. Conducted a workshop addressing violence against women at Bethania House in Guatemala City, where 11 churches and faith-based organizations where present. Developed the relationship with the U.N. Population Fund to support activities of the Ministry of Women and Justice. 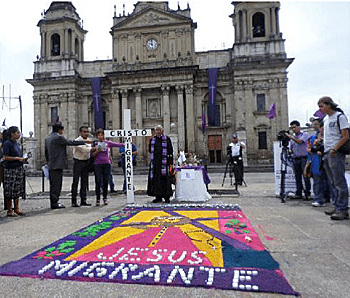 The Ecumenical Christian Council of Guatemala and its partners remain committed to promote the common good, Christian values and the defense of life. They do this by reflection and action that involves both church leaders and church members — at different levels, in different regional areas, and all with the common denominator of shared faith, life, reflection, and action.